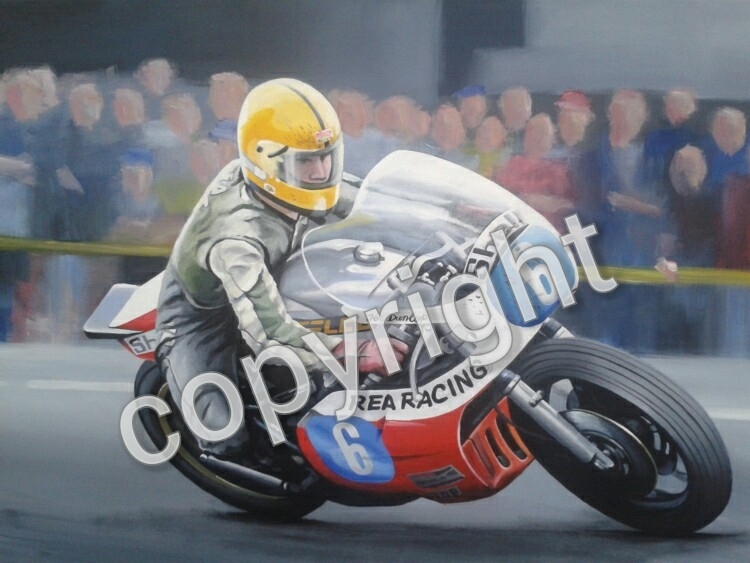 This limited edition print by Jeff Rush depict's Joey on the Rea Racing Motorcycle on his way to his first Isle of Man TT victory in 1977. Approved by Joey's family . The edition is limited to 100 prints only.